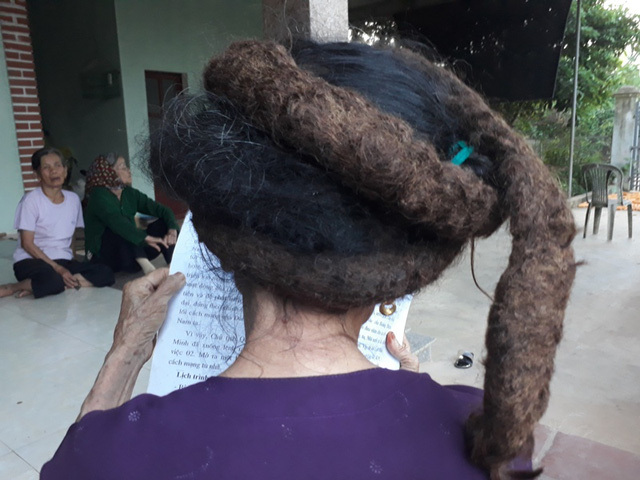 Living with such unusual hair is as difficult as you can imagine. 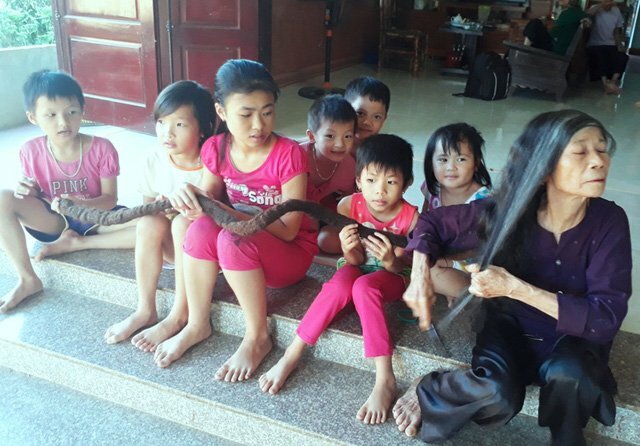 For one thing, it draws a lot of attention, and Trinh says that she has to curl it into a big bun on her head and cover it up whenever she goes out, because people always want to touch it, and kids ask her all kinds of questions about it. Washing it is no walk in the park either, as shampooing alone takes her at least an hour, and drying can take a whole day, because the strands are so tangled up in a compact mass. 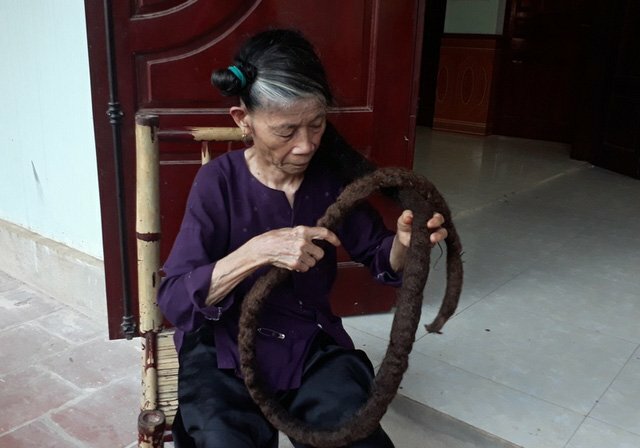 Trinh Thi Nghien’s “dragon hair” is not only tangled up, but it’s also a different color than the rest of her normal hair. 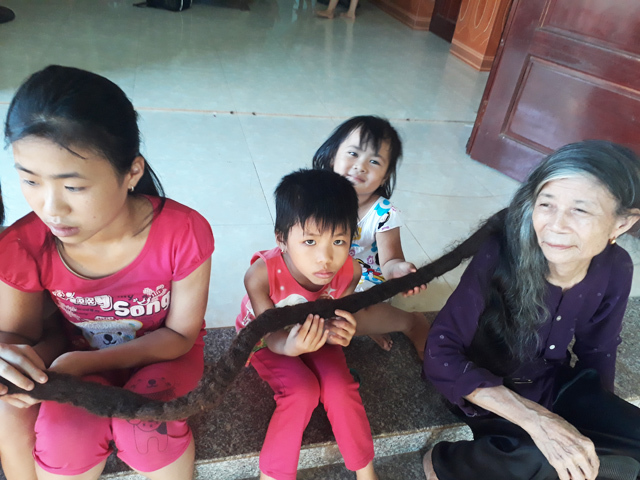 She has dark hair that has started going grey, but the tangled long mess is a light brown with no signs of greying. 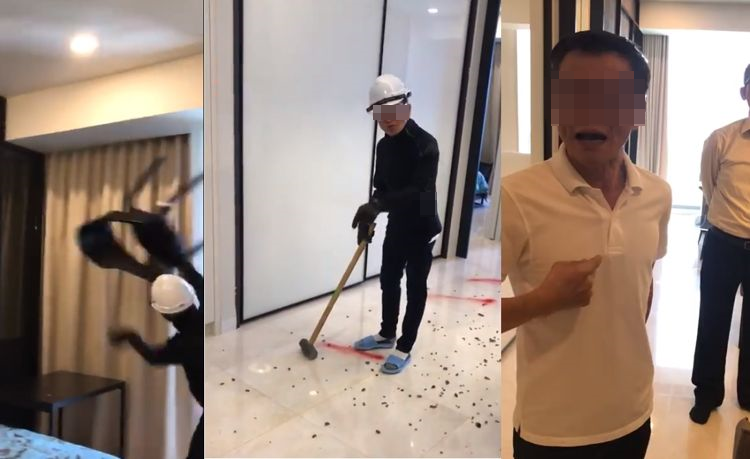 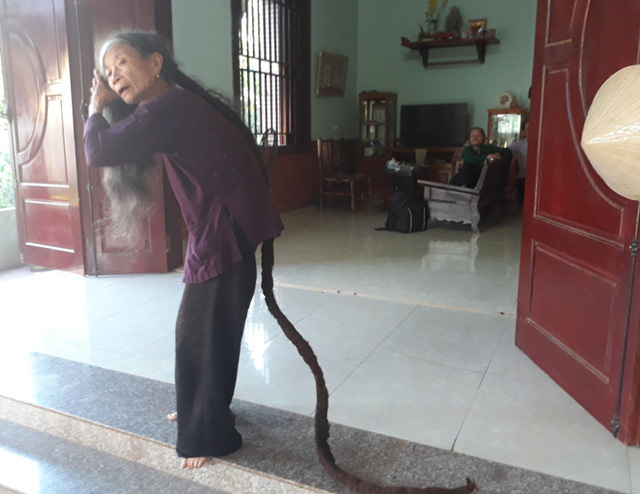 Despite the difficulties of having to carry a 3-meter-long hair snake around, Trinh Thi Nghien claims that she had gotten used to it and even refers to her unusual locks as “hair from heaven”.